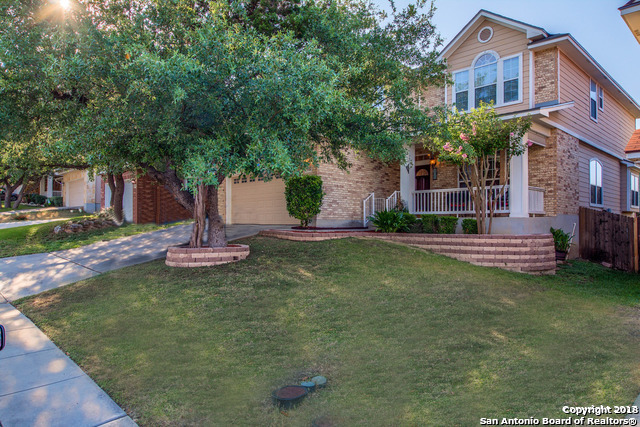 All PANTHER CREEK homes currently listed for sale in San Antonio as of 04/26/2019 are shown below. You can change the search criteria at any time by pressing the 'Change Search' button below. "A beautiful home located in desirable, gated Panther Creek subdivision. Great porch leads to a open floorplan with lots of windows. Beautiful kitchen features island, breakfast bar, built-in microwave oven, stainless steel appliances,kitchen opens to family room with fireplace. Large gameroom with plantation shutters. Huge master bedroom with large master bath & closet, secondary bedroom downstairs with full bathroom added next to it.Beautiful front & backyard. Well maintained specious home with"